All set for screen time: Adi Watters, Sebastian Chan, and Festival Director John Frohlich. Photos: Supplied. Young filmmakers are staking their claims in this year’s Canberra Short Film Festival, which will present the best of more than 300 entries on ACT screens across a record seven days in September. Now in its 23rd year, the festival has seen an increase in the number of young filmmakers who have submitted films and it is only the second time that there has been more than 300 entries. Director John Frohlich says the festival provided an invaluable showcase and launch platform for Canberra’s young filmmakers. “The festival provides a fantastic chance for our local creatives to have their work seen by a large audience in a commercial cinema environment,” he said. Young Canberran filmmaker Sebastian Chan believes the festival provided unique and important opportunities for artists like him starting out on their careers. A still from Sebastian Chan’s Bus Trip. 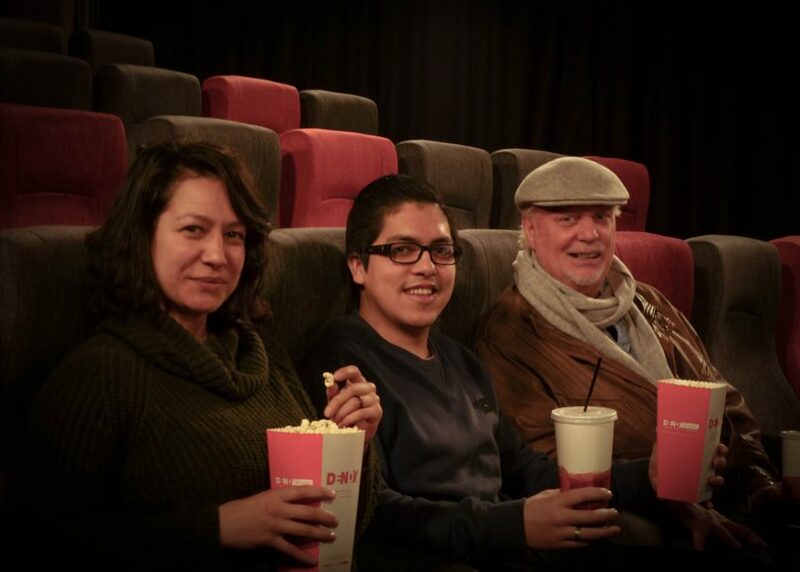 This year, he has been working on multiple entries to the Canberra Short Film Festival including a story about a disabled man who stands up for what is right and fair. Bus Trip tells the story of when regret turns into redemption. “I was motivated by social media videos depicting mistreatment of disabled people and wanted to produce a film that addresses how society views and treats people with a disability,” he said. Chan has already seen success with this film at the Focus on Ability Film Festival and plans to expand his work to a web series. Mr Frohlich said social media was making an impact on film and the festival had recently introduced a ‘2 Minute’ category which captured some of those trends and spoke particularly to younger and emerging artists. “Technology is also allowing for more innovative storytelling; we have films shot on phones and tablets, we see more use of drone shots in the films. This is allowing high production values which would have been too expensive for independent filmmakers in the past,” he said. Mr Frohlich said the high number of submissions this year would greatly improve the overall audience experience.